How do you protect your graphic design consultancy from practices that could cripple it? You could do this in a variety of ways. One such strategy involves using the graphic design brief template. The template offers the level of protection that you would struggle to get from other sources. Bad designs can hurt your freelance services. Inability to provide what your clients want or expect from you could also hurt the consultancy irreparably. How can the brief help here? Occasionally, graphic design consultants are likely to come across clients who fail to appreciate the important role that graphic design plays in life. It’s important in communication, marketing, advertising, starting and running a business, and healthcare too. It conveys messages that words alone wouldn’t be able to pass across effectively. It’s worth noting that its role goes beyond social media too. After all, most users interact with graphic design on social media. Use the graphic design brief template to let clients know its importance in their lives. Many clients will look at your rate and shudder. They believe that it’s not worth parting with an arm and a leg for the graphic design services that your consultancy offers. However, the brief can help clarify this issue for them. Use it to let clients understand that cost isn’t everything. Instead, their focus should be on the benefits their businesses are likely to derive from your services. The benefits far outweigh the cost of the services you provide. It’s important to break everything down so the client can understand what you’re talking about through the graphic design brief template. Yes, freelance graphic designers can often use strange words and terminologies that leave their clients feeling more confused rather than enlightened. Do you struggle with industry-related jargon? Then take some time off to learn how to communicate with clients without employing graphic design lingo. It’s true that some projects are more urgent than others. That said, freelance designers must learn to be in control of everything. Otherwise, you may be forced to rush through work that needs more time only to deliver a substandard product. Expect your clients to walk away disappointed when you deliver a design that falls short of their expectation. Once more, use the graphic design brief template to clarify such issues to your clients. Let them know what you expect from them. Tell them what they can expect from you too! In graphic design, consultant designers often meet clients who take their sweet time approving the drafts. This can often cause more problems than either party envisaged. Sadly, the designer often ends up in deeper trouble when this happens. Why? Because clients will be in a hurry to get the final copy designed and submitted depending on what they want to do with it. This causes the designer more inconvenience. Approvals shouldn’t take more than a week. 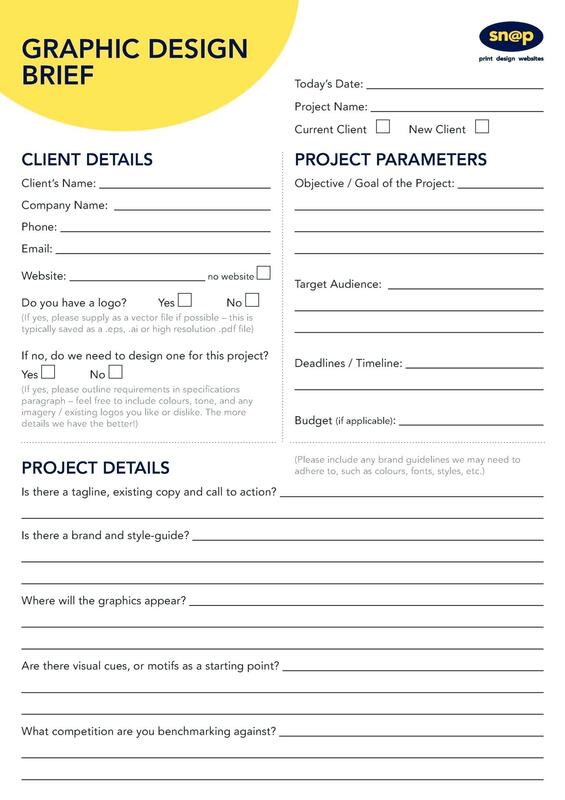 Use the brief to let clients know the entire graphic design process from start to finish. 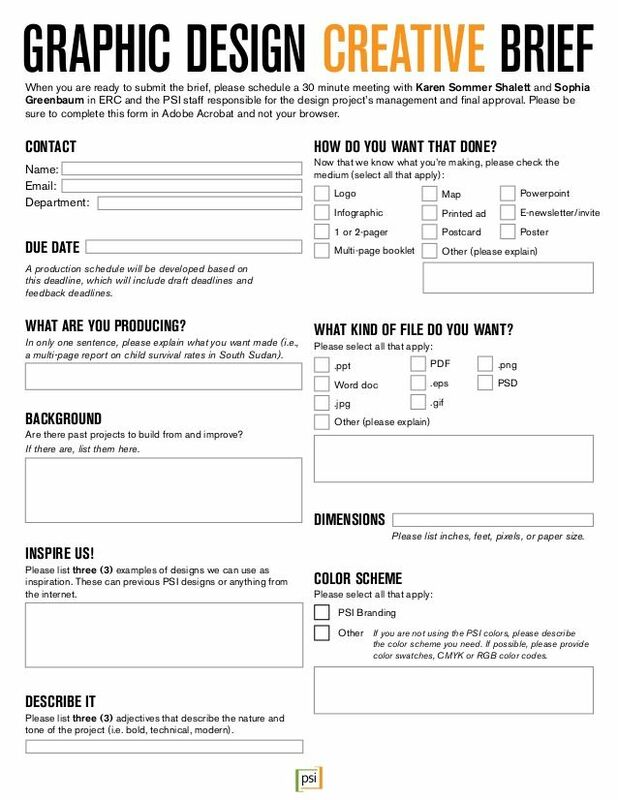 As noted above, graphic design brief templates are wonderful tools for all freelance designers. They offer the designers all the protection their consultancies need. Crucially, the template ensures that the relationship between freelancers and clients never deteriorates. It provides a roadmap the two parties can use to determine the path they want their relationship to take. Everybody benefits from the regular use of the template.